you'll be able to choose from seven tiers of nurturing rewards. 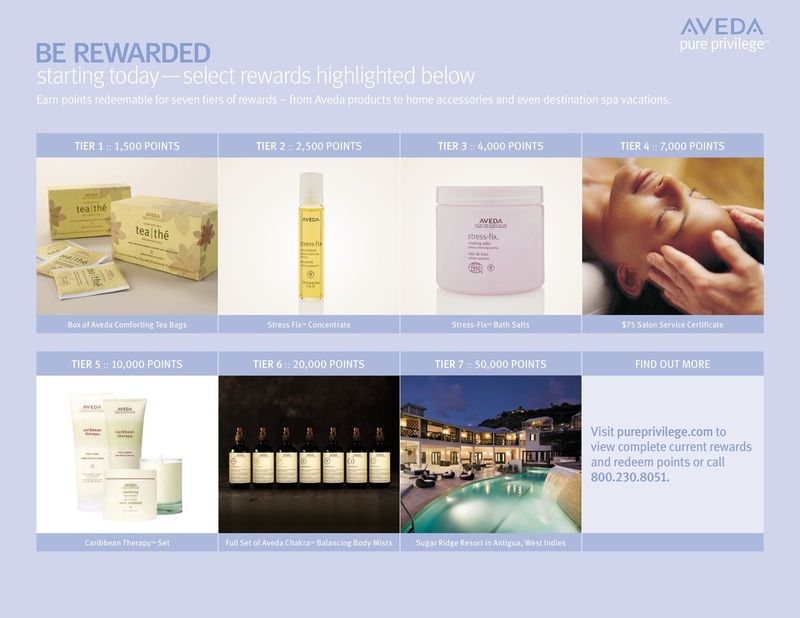 Join our pure privilege℠ reward program and experience the true nature of Aveda even more. Enjoy points for every product purchase, redeemable for our plant-infused products and services, a 3-day resort stay for two, and exclusive offers. As a member of our pure privilege℠ reward program, we want you to feel extra cared for. Enjoy points for every product purchase and experience the true nature of Aveda even more. LIMITED TIME ONLY Pure Privilege℠ members, get $10 off your $60 product purchase. Enter offer code AVEDA10 and your pure privilege membership number at checkout. Inspired by the holistic wisdom of Ayurveda, the ancient healing tradition from India, Horst created the first composition oil™ in 1978, the same year he founded Aveda. Offering total body care, our blends of nourishing plant oils and pure flower and plant essences do more than give you beautiful skin; they invite you to connect with your mind, body and spirit through aroma, breath and touch. What better way to wish you a year of joy and wellbeing on your special day? For your birthday, we want to treat you to a stress-relieving aroma sensory journey and your choice of a FREE† 30 ml aromatic, nourishing composition oil™ so that you can feel renewed with every drop. Join now and we'll send you the offer during your birth month and include a certificate for double reward points on your next Aveda product purchase, too.